To give some vitality to dry locks, we recommend a homemade hair treatment, which preparation is easy with ingredients that we all usually have at home, acts quickly, and the result is a silky, shiny and hydrated mane: Mix well a mashed ripe banana with a tablespoon of lemon juice and one tablespoon of sunflower oil. Apply the mask to dry hair and leave it for 30 minutes, then rinse thoroughly and wash your hair as usual. Mix a tablespoon of cornmeal, a teaspoon of olive oil, an egg and 100 ml of warm black tea. Apply the mask while is still warm. Wait for an hour. Wash with mild shampoo, preferably sulfate free. To prepare the mask, just mix well: - a mashed ripe avocado - two tablespoons of olive oil - one tablespoon of lemon juice. Apply to damp hair, put a plastic cap and wrap with a towel. After 15 minutes rinse the mask with warm water and wash as usual. Add two tablespoons of each of the following herbs: chamomile, nettle, rosemary, basil, geranium and juniper to 500 ml olive oil. Leave the mixture in a dark and warm place for 40 days. Before using, add one tablespoon of lemon juice to the amount of the oil you will need /about 3-4 tablespoons/. Start with a gentle massage from the roots and continue with the locks. The hair should be wet. Leave it for an hour, then rinse and wash as usual. This homemade hair mask is perfect to nourish, strengthen, moisturize and replenish dry hair. • one tablespoon of almond oil. Mix well the mashed fruits with the liquids. Apply the mixture 30 minutes before washing your hair. Apply mayonnaise directly to dry hair. Cover the head with a plastic cap and wait 15 minutes. Rinse several times with warm water before applying the shampoo. 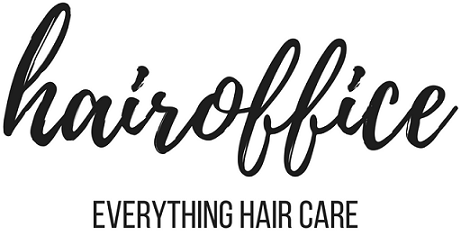 You'll notice a remarkable difference in your hair look. This home remedy moisturizes the locks, restores their shine, eliminates the dryness and is ideal to apply after sunbathing or swimming. • 1 teaspoon of castor oil. Apply 20 minutes before washing the hair and wrap with a plastic cap and towel. 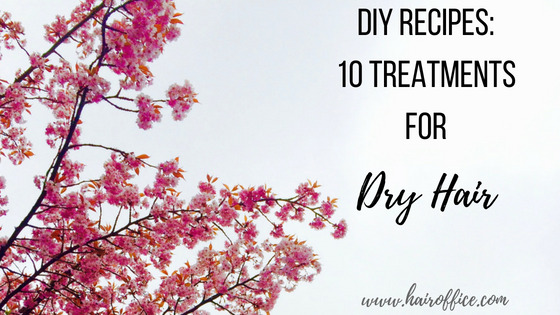 This is a natural homemade treatment for very dry and damaged hair. It will make your hair silky-smooth and shiny. • One and a half tablespoons of olive oil. • Two tablespoons of mayonnaise. Mix all ingredients well. Apply on dry hair. Put a plastic cap. Let it to act up to 30 minutes. Rinse well with warm water and then wash your hair as you always do. This homemade hair mask is good for very dry, damaged hair. It will give some precious break to treated hair and will make it soft and shiny. • 2 tablespoons of yogurt. Spread throughout the hair. Allow to act for 20 minutes. Rinse with warm water. • 1 teaspoon of rum. Apply and leave it to act for 30 minutes before washing your hair. This article is for informational purpose only. Any action you take upon the information you find on this website, is strictly at your own risk. Do not try anything from any website, including this one, without proper research and medical supervision.